Veteran Owned and Operated, We Can Build Any Coin! Marine Corps Challenge Coins custom made to your specifications. We take pride in getting your order right the first time. Commemorate your unit's tour or Birthday Ball with a custom challenge coin made especially for you! Serving in the Marine Corps is a difficult but rewarding job. The memories you make will last a lifetime. Remember your unit or time spent in the Marine Corps with a custom made Marine Corps challenge coin. Your Marine Unit is unique. Don't you want a Marine Coin to represent the time you shared? 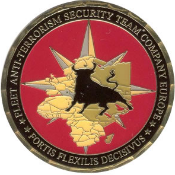 Our Challenge coins are forged to last and made to order. Each coin is bubble wrapped and shipped for FREE anywhere in the world! Each Marine Challenge Coin is custom made with your unit's ensignia or any design you wish. We use the best materials to ensure they not only last but that they stand the test of time. 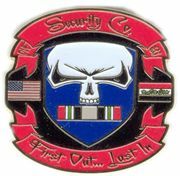 Belly up to the bar with the best looking challenge coin and be proud of your design. If you can dream it, we can build it! Give Your Marine a coin they will remember you by. A great way to reward those Marines under your comand that go above and beyond what you ask of them. 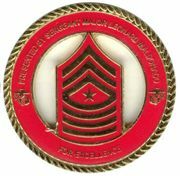 A Marine challenge coins for excellence is a great morale boost and Marines will always remember how they won their SGT Majors coin. The Marine Corps Birthday Ball is a great time to celebrate the long proud traditions of the Corps. Marine Coins are a great keepsake to remember your time together. Why pay for glasses or flag displays when they will only last a few years before breaking. Most Marines don't keep thoose anyways. 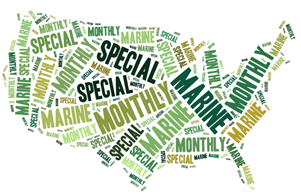 Order a Marine Birthday Coin that will last and stand the test of time! We are commited to bring you the best Marine Coins at the best possible price. You will find our quality of workmanship and price the best around. We provide unlimited revisions and FREE design work to make sure to keep your cost down and ensure that you are completely happy with your Marine challenge coins. We also offer FREE color matching to make sure we get your Marine coins right the first time. We strive to produce the best possible Marine challenge coins at the best possible price and all of our orders come with FREE SHIPPING! July special is FREE Epoxy Coating on one or two sides of your coins at no charge for orders of 300 or more coins! 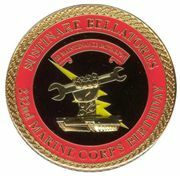 Marine Coin PricesMarine Challenge Coin Pricing and Options.